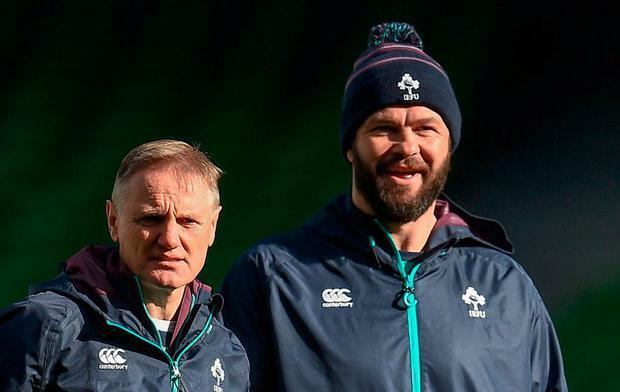 Ireland pipped the RFU to the post when it came to securing Andy Farrell as their head coach beyond 2019, according to RFU chief Nigel Melville who conceded he feels regret at missing out on the former England assistant. Last week, the IRFU confirmed that the rugby league legend, who worked under Stuart Lancaster at England before joining Joe Schmidt's backroom team in the wake of the 2015 World Cup, would succeed Schmidt and lead Ireland to the 2023 tournament. England coach Eddie Jones is contracted until 2021 and, results depending, will mentor his replacement in 2020 before moving on. Farrell was one of those the RFU hoped to speak to. "He would have been on our radar, of course he would," Melville told the BBC. "He's an English coach, and all English coaches we are talking to now. But obviously Andy won't be available. "You always get that feeling (of regret) don't you? Because he's a fine coach, a good guy, and he's English. But an opportunity has come up there and he has gone for it. Good on him and we wish him well." Survey Meanwhile, a survey carried out by International Rugby Players, the global body representing professional players, has found 45pc of players feel pressurised into playing or training while not fully fit. Three-hundred-and-fifty players from the 20 nations qualified for next year's World Cup participated in the survey, which also found that 23pc of players have been pressurised by their club not to play for their country, with 40pc succumbing to that pressure. Forty-eight per cent of players believe that 21-25 games a season is the optimal number, while more than half of those surveyed are against the playing of Test matches outside the international window.